Since Master of Orion is a strategy game, I suspect It would not be too outlandish to use for illustration another strategy game which many of you may be familiar with: Classic Risk. I absolutely love Risk, but I cant stand your Risk. whenever I have a conversation with someone about Risk, that person usually wants to recount their most glorious victories. Before they reveal their secret to success however, they'll usually look over their shoulder, take a significant deep breath, pause for effect, and then in whispered tones they reveal the brilliance of their plan; which invariably involves Australia. 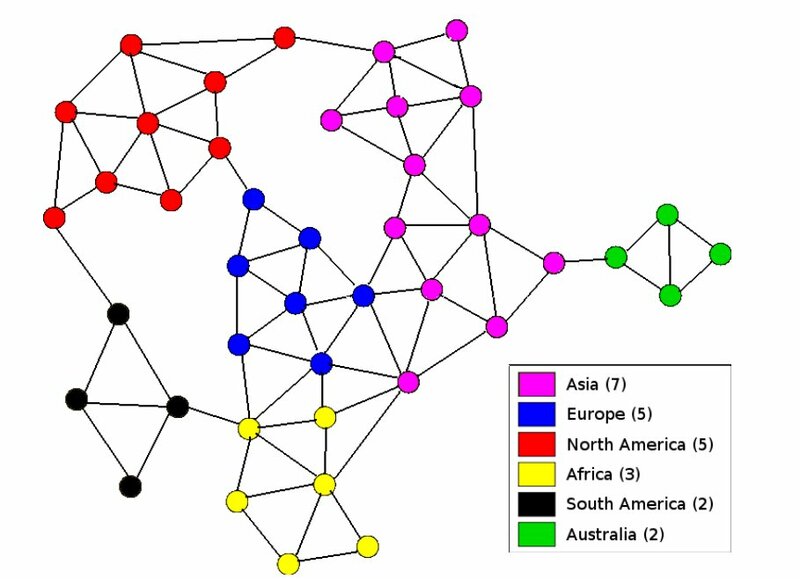 In the game, countries are naturally connected to adjacent ones, and unnaturally connected to ones across entire oceans. Somehow those thousand-mile 'bridges' (or are they arbitrary sea routes?) remain viable for any conquering force to use them throughout the game, and so the world is your oyster. That green diamond to the right with one way in? Thats Australia, and its 'secret' is the single path in. Not only does it have half the entrances of also-4-territories-and-2-army-bonus-South-America, but as a secondary advantage, its neighbor, Asia, has more lanes than either North America or Africa, meaning Asia is less likely to be a unified threat against Australia. The first few times you play the game, you may not have anything to do with Australia, you have to defend across multiple fronts, and generally have a good experience in the game. The more you play however, the more the strategy of holding choke points emerges, until finally you realize that Australia, having one entrance while giving a continent bonus is a unique advantage to be sought after in every game. Now, about 20 years ago, while stuck at home during a blizzard. I got to help my dad in a unique father-and-son project: We made our own Risk board. Its 5.5ft wide, can play 12 players at once, uses the original french rules for combat, does not have silly cards to turn in for free armies, has 96 territories (instead of the normal 42), and every territory has its own point value granting you income (instead of having every territory being the same, making Greenland the same to your war effort as Western Europe, the US, China, etc). Perhaps you also noticed there are no dotted lines across the oceans? That's because we made our own molds and forged ships to carry your armies across the seas. Every player can have up to 6 ships, carrying up to 3 armies apiece. Purple (maybe coming from south america) wants to break up the North American continent. 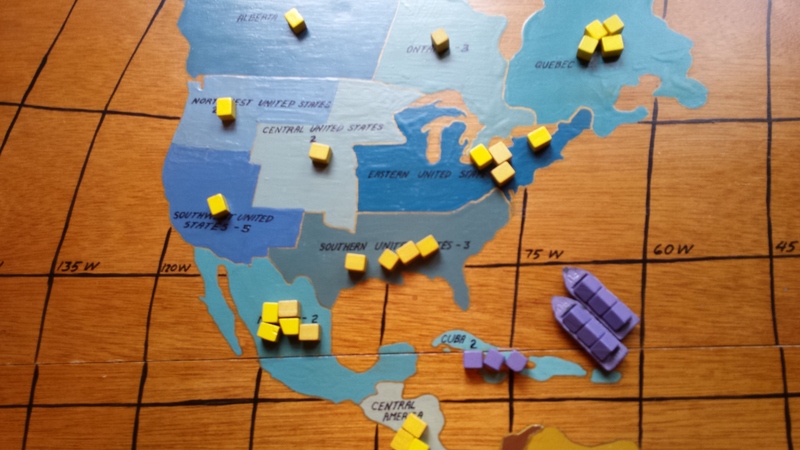 In YOUR Risk game he has to go up through central america/mexico. Here, he can use Cuba as a staging point, and perhaps hit Canada. 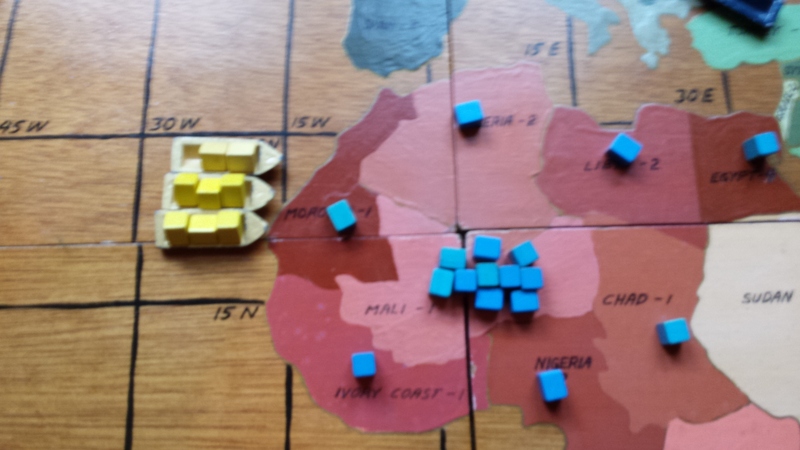 Yellow is aware of the threat, and has to spread out his troops to compensate (and therefore does not have a giant blob of death on the border). Yellow is invading Africa. There are far too many coastal territories for Blue to defend. However, because Blue is willing to sacrifice one of his outlaying territories, he is able to have a consolidated defense and counterattack anywhere. With a single ship, Green could strike anywhere in the southern hemisphere. Here he is looking at Africa's and *GASP! * Australia's vulnerabilities. At only 2 or 3 spaces of movement for his ship depending on where he places it, he is all but guaranteed an effective strike. You see? Starlanes are like the dotted bridges in Risk. They do not increase the strategy, they limit it. They create choke points that are supposed to be strategic, but since there are no other options, it just means a frontal assault every time. Combining the freedom of the seas with territories of different values, I now can think strategically about where to strike. Do i his that high-value-but-heavily-defended target? or do I sweep across multiple low-value-but-lightly-defended targets? Both may net me the same amount of points, but both are entirely different strategies for me to choose from. In YOUR Risk game, I do not get that choice. In this MOO game, I do not get that choice. 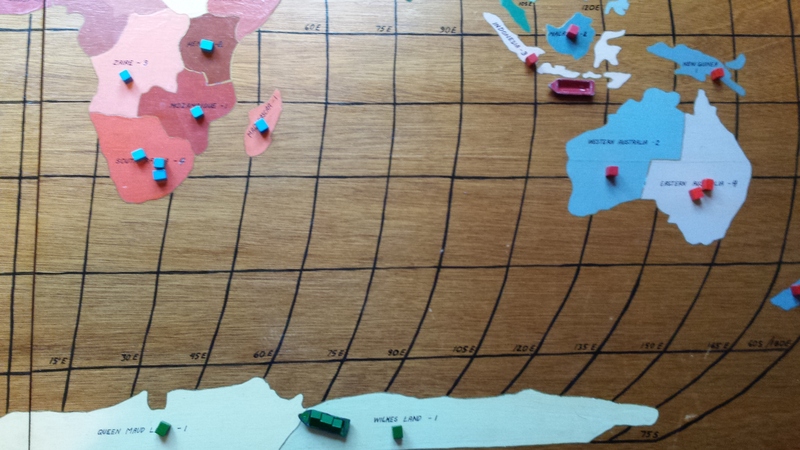 I do own the 'classic' Risk as well as our homemade version. Care to guess which one is infinitely replayable? Which one still keeps me guessing after all this time? which one has gathered dust for 20 years and which one all those 'Risk veteran' friends who told me about their amazing Australia strategy still want to play? Can the classic Risk with its dotted lines be fun? Sure. Can people have fun playing the new MOO with star lanes? Sure. But in both cases, they likely are unaware that there is a better way. However, once they see the possibilities that freedom of movement can offer, I doubt they'll want to go back to those static, arbitrary lanes. Edited by Andruski, 31 March 2016 - 07:58 PM. Starlanes Summary "They do not increase the strategy, they limit it." VERY impressive write up. I will say that you and your dad are very creative. BUT, these board games have some similar theme for a reason. Some people do hate choke points, others embrace them and learn to use them. Risk is a perfect example as you've so kindly illustrated above. But you do understand that you have changed the default game rules of Risk because you don't particularly enjoy them that way. If it was a much "better" version, wouldn't the folks are Risk change their game to match? Take any board game out there right now that's popular and you see these "star lanes" everywhere. These choke points are basically in any game. Not only that, but they are critical to the game's mechanics. 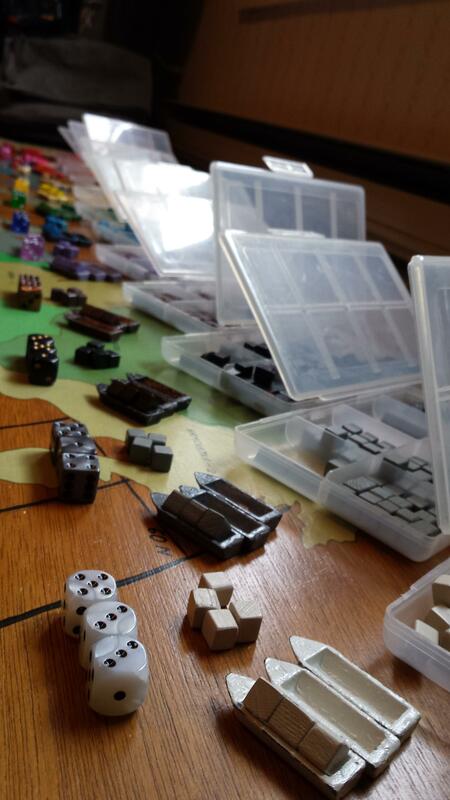 I personally would learn to use them to my own advantage, rather then try to build a custom board or my own version of the game. Play the game as it was designed and learn to exploit those mechanics as best you can. There are some people out there who do actually enjoy star lanes. Me, I personally could go either way. My recommendation is if they do plan on keeping them, make it more smooth for your ships to jump from system to system without the extra turns from the inner system lanes. If they removed the star lanes all together, then I would adjust my strategy. Edited by CecilPaladin, 31 March 2016 - 07:21 PM. I actually have no problem with the star lanes, mainly because if they incorporate them into the lore, it makes a space based game much more logical. I mean, we have a galaxy that only has 100 systems that can be explored? Perhaps the orions created the Starlanes so they could actually have an interstellar empire. Do I think there should be a method to circumvent the blockades? Sure do. I'd like it to be a stealth device, that takes up lots of space on a ship (maybe half a ships space) but they can move past the outposts. The trade off is that the ships that sneak through are significantly weaker. BUT, these board games have some similar theme for a reason. Some people do hate choke points, others embrace them and learn to use them. Risk is a perfect example as you've so kindly illustrated above. But you do understand that you have changes the rules of Risk because you don't particularly enjoy them that way. If it was a much "better" version, wouldn't the folks are Risk change their game to match? There are some people out there who do enjoy them. Me, I could go either way. My recommendation is if they do plan on keeping them, make it more smooth to jump from system to system without the extra turns from the inner system lanes. I would adjust my strategy if they removed the star lanes all together. Its a decent point: since its part of the game, its the way the game was meant to be played (though I suspect more than a few who enjoy the gameplay of Moo1 and 2 would say that the no-starlane approach is the way it was meant to be played, and this version is the one doing the changing). To be honest, though we call our custom game 'Risk', I do not consider it to be the same game. It shares the name, but its the differences that give me a preference to want to play one over the other. 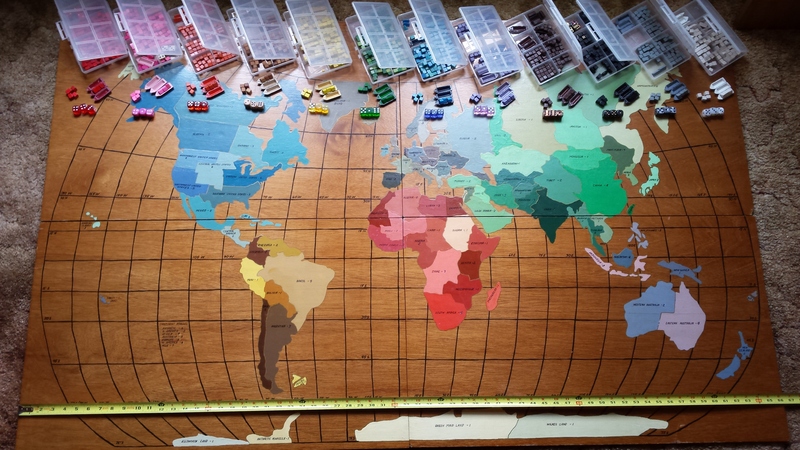 We usually joke about classic Risk being a kids game, and we have the grown up version. Edit: As to 'learning to use the game's mechanics to my advantage': that is what the entire part about Australia was about. Once you figure out its the best choke point to hold, you are now the Master of Risk. Why play anymore? As to the lanes in various strategy games, Its true, some things are just core to games - like the connections in Ticket to ride, good example - However, when we are talking a war game, the connections are not the core. the territory control is the core. True, those connections are pathways to be fought over, and tactical decisions to be made over, but there are an extremely limited number of connections, and therefore, choices to be made: and there is always a best choice (thus the Australia problem). Ultimately, if you can control the bottleneck (the pathway), you can control your territory (the core mechanic of the game) and win. Our custom risk retains the mechanic of territory control, but infinitely expands on how one is to do that. Granted, with a new map every game in MOO, there are new pathways and bottlenecks to control, but the best strategy will always be the same: find the bottleneck, control it, win. When they released early access 2 with the harder difficulties, my first game played was on very hard on the biggest map, I found a bottleneck that blocked off a significant portion and landed there. Then I found another and did the same. With 3 or 4 colonies I had effectively walled off 1/4 of the galaxy, which I filled up at my leisure and won the game with ease. Frankly, it was boring - but as long as star lanes are there, why would I ever do anything different? Edited by Andruski, 31 March 2016 - 07:57 PM. I've always liked north america myself. I wouldn't mind more unstable starlanes, it's actually kinda weird how there aren't any in circle maps. Edited by Quenlar, 31 March 2016 - 09:51 PM. I have to disagree with there is only one best strategy in (the original) Risk. 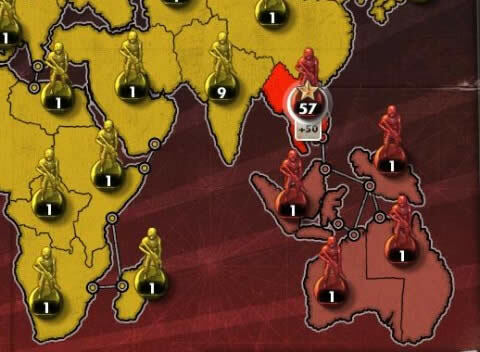 I used to play an African strategy with great success and routinely beat the Australian-strategy player. I did enjoy your original post very much, and you make some good points. However, the one point I don't see the no-star-lanes people address is the computer AI. Your modified Risk games are always played against people. However, the majority of MOO games will be played against the AI. The developers will be able to give us a more challenging AI with star lanes. And while this may limit our strategic options having star lanes, we will likely end up with a better gaming experience. While I like 4X space games both with and without star lanes, what I want most is the best game. Perhaps the developers will improve the AI enough over time that off-space-lanes-travel will become an advanced tech in the game. Then we will have the best of both worlds! Exactly this! Leave MOO alone, its did just fine with free movement for 20+ years. If you want starlanes, go play Endless Space. Please list all the starlane-based games that had competent, challenging AI. Spoiler alert, you cant because there have never been any. All starlane-based games ever released have had horrible to (at best) mediocre AI. The only 4x ever praised by reviewers for its exceptional AI was Gal Civ, a free-movement game. This whole "starlanes make for great AI" claim is just an urban gaming myth with not a shred of historical evidence to back it up. There have been no shortage of starlane-based games produced. If they have such inherently superior AI to free-movement, you should be able to point to at least one.......... But there isn't even one. Thanks for the amazing post Andruski. I really respect how you and your old man customized Risk to make it so much better. I also love the way you used it to explain the way starlanes dumb down strategy and make for stale gameplay. Wish I could give you more than a single +1. I mentioned this in another post a while back. There is already jump gate technology in the game now. Jump gates allow you to move from system to system ignoring starlanes (as long as both systems have a jump gate). If the AI understands how to use jump gates (which it should if they are part of the game), it is not much different using free travel even without jump gates. If the AI cannot use jump gates properly, that is already a failure in programing and needs to be addressed. OP, I love your post and I love your work on the game there. The problem is simply, we have games without starlanes already within this genre, and they are bad games. The only thing we have to ask is why? I can say with confidence that one of the biggest reasons is because it puts too much faith in the AI to be able to use the same strategies a human can, and the AI just can not do it. In the MOO series the AI was vastly simpler, but the AI also presented much more of a challenge to the player then it ever could in the Galciv series. We can't deny this simple truth of the current state of AI. Removing starlanes will reveal major flaws in its capacity and significantly hamper a major part of the game, single player. Furthermore, its a logistical nightmare. Did I mention yet how much I hate galciv? Well I do. I play MOO and MOO2 and I can easily move from turn to turn even with their absolutely primitive systems, which require me to handle just about everything. We move down the road 10, 20 years and I can't even play galciv past the mid game. I have to go through every single freaking ship. It's painstaking. I'm building several constructors per turn, and I have to scan the whole map to ind where to put them. Planets are meaningless dots on the board. Its a nightmare. Its not fun. At the end of the day, the entire focus of risk is moving troops across the board. In MOO, that's a small aspect of the game. One which I do not want to overwhelm me, nor the AI, preventing the real enjoyable parts of the came from coming into fruition. The problem is simply, we have games without starlanes already within this genre, and they are bad games. Absolute obvious, transparent nonsense. MOO 1, MOO 2, Distant Worlds, SOTS (6 out of 7 races), BOTF. None of these have starlanes and are widely hailed as some of the best selling, most popular 4x space games ever made. There IS no problem that starlanes are needed to solve, certainly not that of AI. There has never been a starlane-based game with even moderately good AI and MOO 4 is rapidly shaping up to be no exception. You wont find similar praise for ANY starlane based game. Quite the opposite. "The AI also makes use of technological developments to design ships of its own. At higher difficulty levels these ships are tailored to the opposition, so players sending fleets of laser-armed ships may find them repulsed by shielded defenders, while those preferring to employ mass drivers will find that they come up against heavily armored opposition instead." Are you suggesting that if Gal Civ II had gone the route of starlanes, the AI would be inferior somehow? If so in which way? Certainly not. I'm objecting to the often quoted claim that starlanes make AI programming easier and therefore result in significantly better AI. This simply isnt true and there are NO examples of any starlane based game with even mediocre AI. If Gal Civ II had gone the route of starlanes I imagine that AI would be identical, but certainly NOT significantly better because of starlanes. That is an urban gaming myth with absolutely NO basis in reality. The game would be inferior. The AI would likely be the same.  This must be the best OP ever on this forum. Beautiful game you have made yourself! And excellent analogy ofc. demonstrating a point that has been made times and again here. Hoping the devs will read this post over a couple of times and reflect on it. However, the one point I don't see the no-star-lanes people address is the computer AI. Your modified Risk games are always played against people. However, the majority of MOO games will be played against the AI. The developers will be able to give us a more challenging AI with star lanes. And while this may limit our strategic options having star lanes, we will likely end up with a better gaming experience. While I like 4X space games both with and without star lanes, what I want most is the best game. there is no relationship between star lanes & a.i. capability. there only is a relationship between quality of programming and a.i. capability. It is a very good post, it basically says the exact same thing we've been saying for months about how starlanes dumb down strategy and inevitably encourage giant stacks of death at choke points as the ONLY strategy, but it does so carefully, methodically and with pictures. I really cant imagine any intelligent starlane apologist reading the OP and NOT getting the argument, which lets face it must be a good thing.